The cytotoxicity of CDDP is mediated by its interaction with DNA to form DNA adducts. 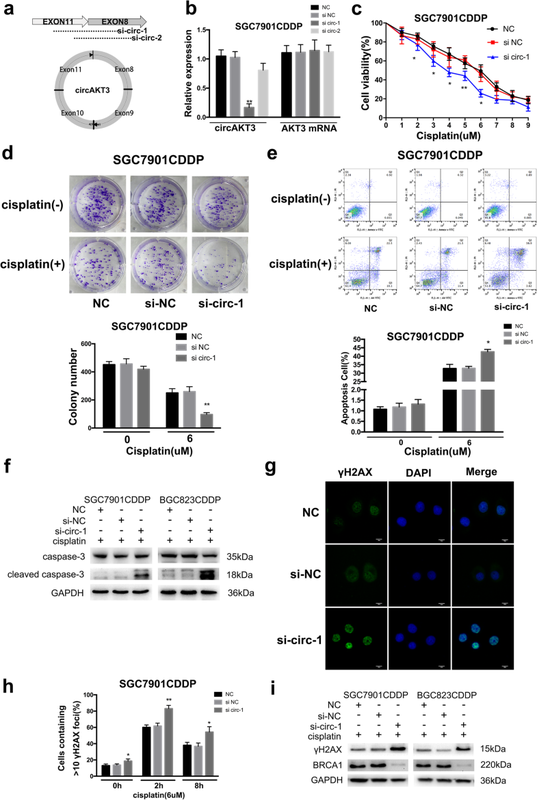 Intracellular CDDP primarily binds to nuclear DNA with high affinity and can physically interact with mitochondrial DNA (mtDNA), which is involved in the activation of several signaling pathways and apoptosis [7–9]. 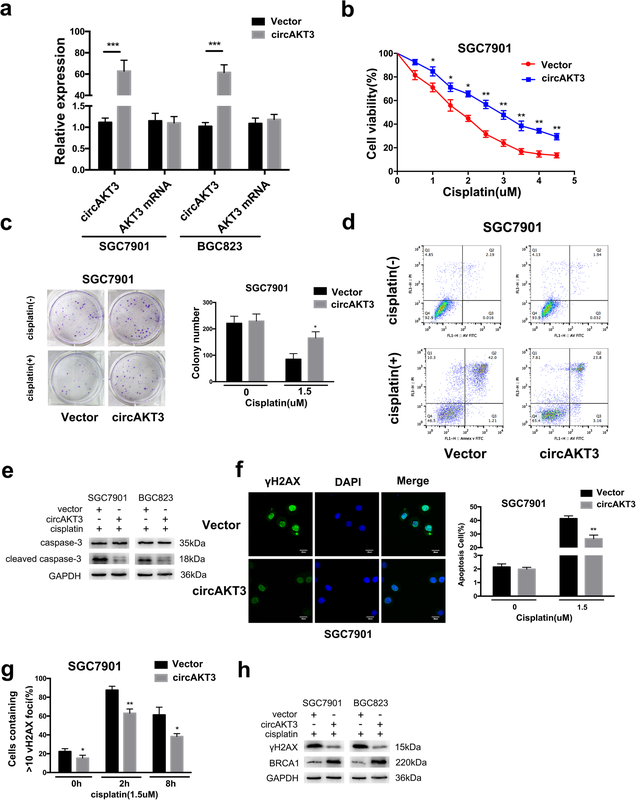 In recent years, studies have shown that the PI3K/AKT signaling pathway could suppress cell apoptosis and facilitate cell survival. 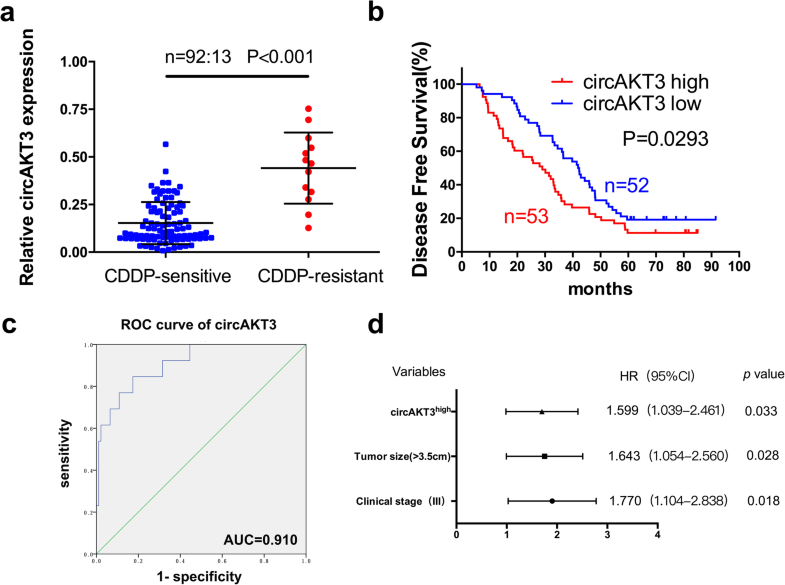 This PI3K/AKT signaling function is crucial in the regulation of chemotherapy resistance of cancer cells [10, 11]. 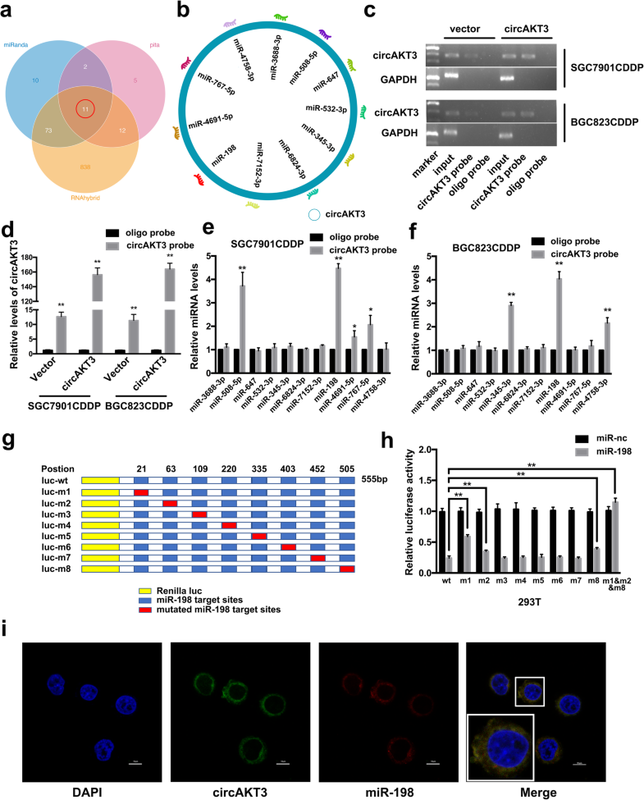 Activated PI3K/AKT signaling promotes the phosphorylation of caspase-3 and prevents the activation of caspase-3 and the inhibition of apoptosis . 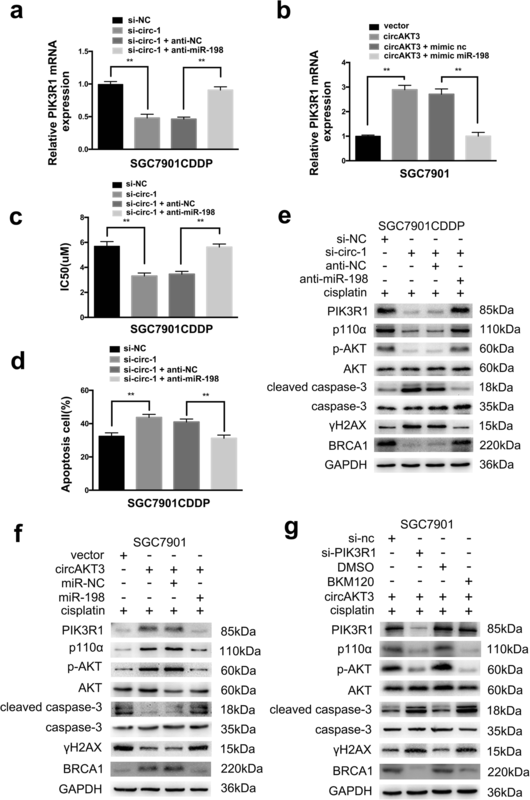 DNA is the recognized target for CDDP cytotoxicity in cancer therapy. The resultant biological process in response to CDDP and other DNA-damaging therapies is the activation of apoptosis and the destruction of malignant cells. The most favorable evidence is the hypersensitivity of both eukaryotic and prokaryotic cells deficient in DNA repair to CDDP . An enhanced DNA repair mechanism can induce the survival of damaged or mutated tumor cells, resulting in resistance and subsequent tumor recurrence . BRCA1, a tumor-suppressor gene, is widely involved in cellular metabolism , transcriptional regulation [29, 30], and epigenetic modification . 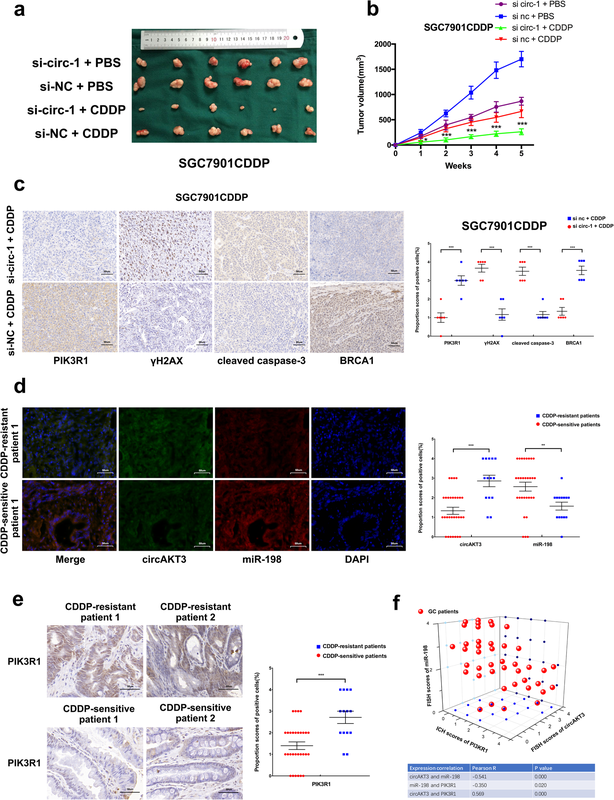 A growing body of evidence revealed that BRCA1 has a great effect on the modulation of CDDP resistance [32–34]. 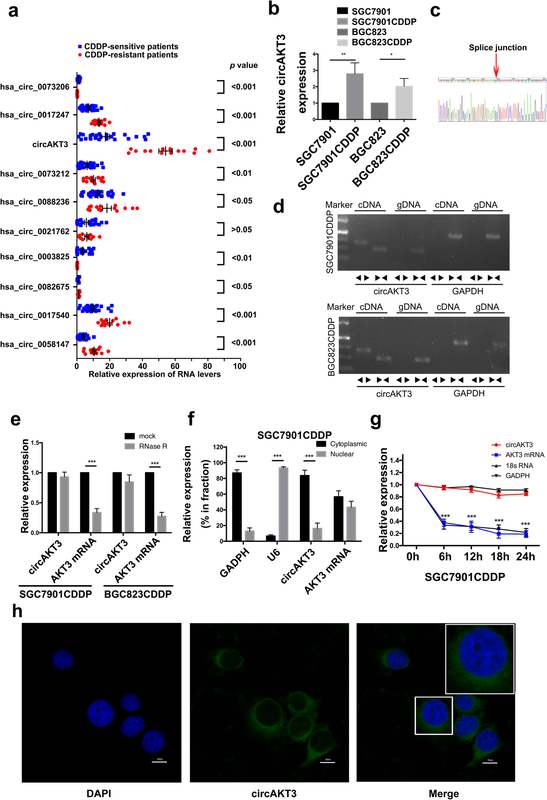 Alterative BRCA1 expression can regulate the mitochondrial fission program, which could modulate CDDP sensitivity . 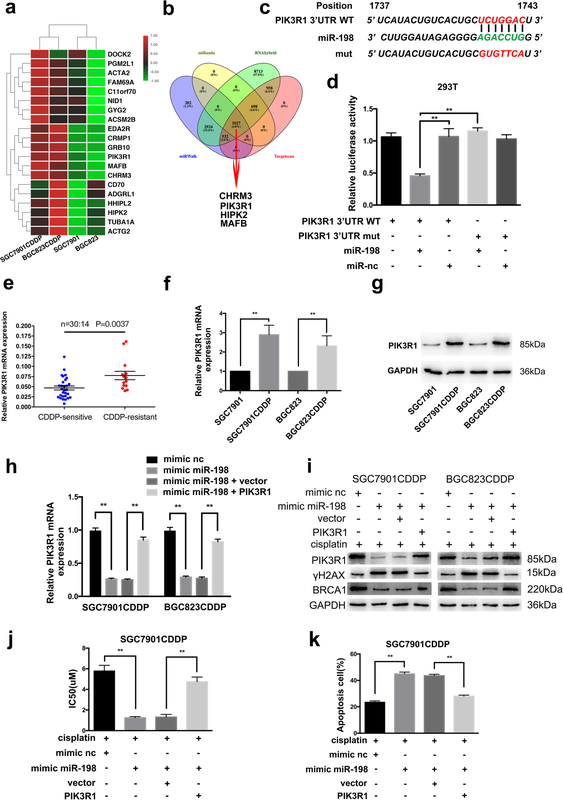 Some microRNAs contribute to DNA repair and CDDP sensitivity through BRCA1 deregulation, including miR-9  and miR-638 . A previous study demonstrated that BRCA1 mRNA levels were negatively associated with CDDP sensitivity in GC . Currently, there is a lack of research on circRNAs that regulate the BRCA1 gene in tumor cells, including GC. The underlying mechanisms require further exploration.